When CHARMED’s Macy (Madeleine Mantock) isn’t exactly in the best space on the Sunday, March 10 episode, she indulges in a very human past time: binge-watching comfort TV. Of course, since this is CHARMED, there’s a twist. 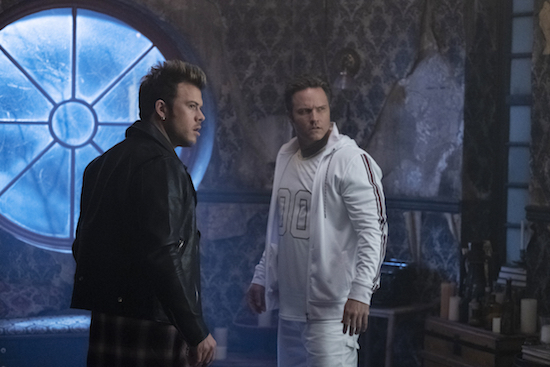 Charmed -- "Touched By A Demon" -- Image Number: CMD114a_0004.jpg -- Pictured (L-R): Jimmy Tatro as Gideon and Scott Porter as Levi -- Photo: Michael Courtney/The CW -- ÃÂ© 2019 The CW Network, LLC. All Rights Reserved.